For many people Bhagvatam or Sri bhagvatgita is only religion of Hindu book, but during Krishna there was no other so called cult religion what we have now since last ~2000 years ago.There was sanatan dharma, religion of truth- called Dharma everywhere. It is Kaliyug that entered after Dwapar gone when Sri Krishna departed from this earth, that made and still making all confusion. And this will carry on untill next Sri Krishna in diff form come. Here ,I am trying to decode what is written in Bhagvatam about Cosmos,which modern scientist still far away to get even after many satellites and telescope they have. This is based on Bhaktivedanta Institute scientist Sadaputa Dasa (Dr. Richard Thompson)’s article-“Mysteries of sacred universe. While there is debate as who was a 9th Avtar of God- Buddha or Chaitanya Mahaprabhu, Hindus believe Chaitanya Mhaprabhu was a 9th Avtar of Vishnu. And per Chaitanya“In every verse of Srimad-Bhagavatam and in every syllable, there are various meanings.”(Chaitanya-charitamrita, Madhya 24.318). The Fifth Canto of the Srimad-Bhagavatam enumerate many universes. Each universe is like egg shell surrounded by layers of elemental matter which is a boundary between mundane space and the unlimited spiritual world. 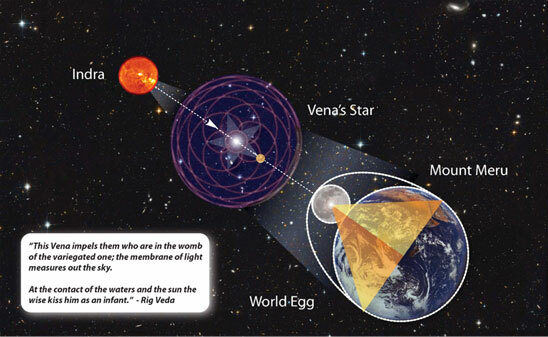 The region within the shell is called the Brahmanda, or “Brahma egg.” It contains an earth disk or plane—called Bhu-mandala—that divides it into an upper, heavenly half and a subterranean half, filled with water. Bhu-mandala is divided into a series of geographic features, traditionally called dvipas, or “islands,” varshas, or “regions,” and oceans.The circular “island” of Jambudvipa, lies in the center of Bhu-mandala ) with nine varsha subdivisions. Subdivisions are known as -Bharata-varsha, which is India/Bharat . In the center of Jambudvipa stands the cone-shaped Sumeru Mountain, which represents the world axis and is surmounted by the city of Brahma, the universal creator. Bhu-mandala are a stereographic projection of a globe .The land area between the equator and the mountain arc is Bharata-varsha, corresponding to greater India. Since its purpose was astronomical, rather geographical,so many other countries were not described. The way it describes earth’s is like this-It points out that night prevails diametrically opposite to a point where it is day. Likewise, the sun sets at a point opposite where it rises. Therefore, the Bhagavatam does not present the naive view that the Earth is flat. In middle ages, astronomical instrument called an astrolabe was used which can be used today to compare Bhu-mandala.On the astrolabe, an off-centered circle represents the orbit of the sun—the ecliptic. The Earth is represented in stereographic projection on a flat plate, called the mater. The ecliptic circle and important stars are represented on another plate, called the rete. Different planetary orbits could likewise be represented by different plates, and these would be seen projected onto the Earth plate when one looks down on the instrument. The Bhagavatam similarly presents the orbits of the sun, the moon, planets, and important stars on a series of planes parallel to Bhu-mandala. 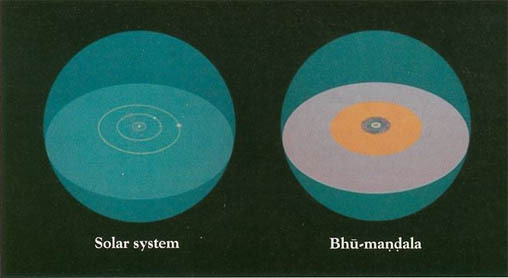 Descriptions of Bhu-mandala have features that identify it as a model of the solar system. 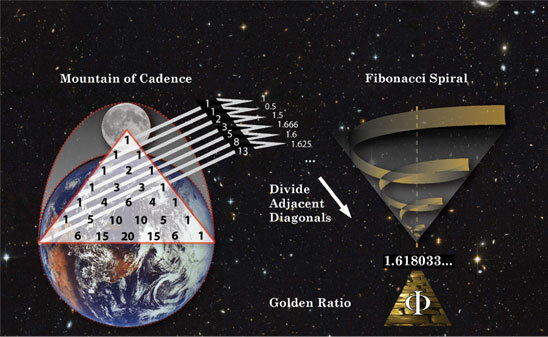 The scholars Giorgio de Santillana and Hertha von Dechend carried out an intensive study of myths and traditions and concluded that the so-called flat Earth of ancient times originally represented the plane of the ecliptic (the orbit of the sun) and not the Earth on which we stand. In India, the earth of the Puranas has often been taken as literally flat. But the details given in the Bhagavatam show that its cosmology is much more developed. Until recent times, astronomers generally underestimated the distance from the earth to the sun. In particular, Claudius Ptolemy, the greatest astronomer of classical antiquity, seriously underestimated the Earth-sun distance and the size of the solar system. 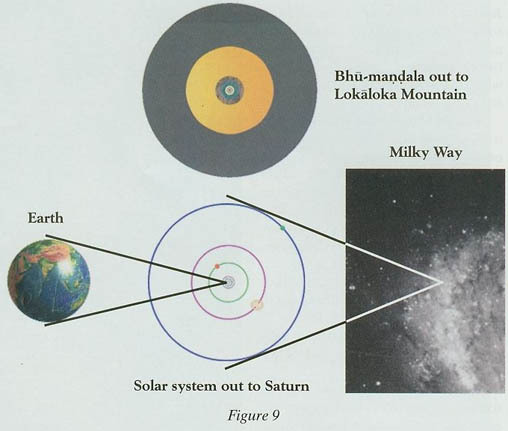 It is remarkable, therefore, that the dimensions of Bhu-mandala in the Bhagavatam are consistent with modern data on the size of the sun’s orbit and the solar system as a whole. Jambudvipa,represents the northern hemisphere of the Earth globe. But the detailed geographic features of Jambudvipa do not match the geography of the northern hemisphere. They do, however, match part of the Earth. Per other Puranas,Bhu-mandala is a map of the celestial realm of the demigods, or devas. Other interpretation could be like this-Bharata-varsha includes the entire Earth globe, while the other eight varshas refer to celestial realms outside the Earth. This is a common understanding in India. The literature is full of stories of parallel worlds. For example, the Mahabharata tells the story of how the Naga princess Ulupi abducted Arjuna while he was bathing in the Ganges River .Ulupi pulled Arjuna down not to the riverbed, as we would expect, but into the kingdom of the Nagas (celestial snakelike beings), which exists in another dimension. Mystical travel explains how the worlds of the devas are connected with our world. 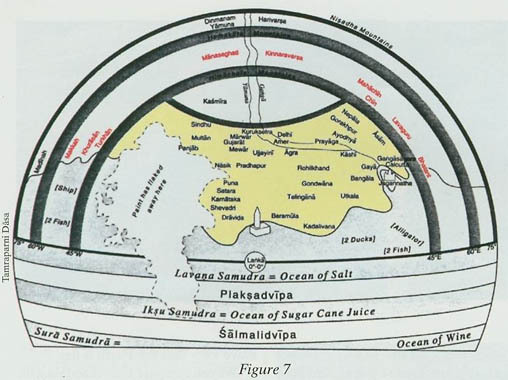 In particular, it explains how Jambudvipa, as a celestial realm of devas, is connected with Jambudvipa as the Earth or part of the Earth. Thus the double model of Jambudvipa makes sense in terms of the Puranic understanding of the siddhis. This entry was posted on February 4, 2015 by Sanatan Dharm and Hinduism in ASTROLOGY OF INDIA, ASTROPHYSICS, BHAGVATGITA, BHAGVATPURAN, BHARAT, HINDU SCRIPTURES, HINDUISM, HINDUISM SCIENCE, HISTORY OF INDIA, SANATAN DHARMA, science and spirituality, scientifically proven religion, UNIVERSE CREATION, VED, VEDA, VEDANTA, VEDAS and tagged BUDDHISM. MANY UNIVERSE. 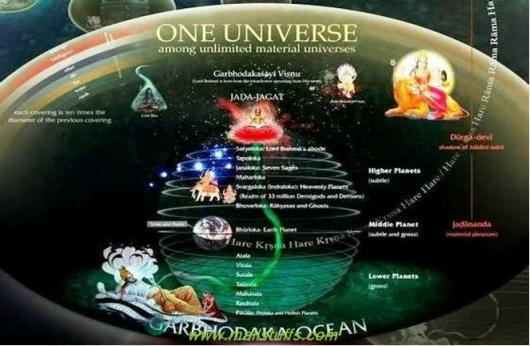 EARTH., CREATION OF UNIVERSE, HINDUISM AND COSMOLOGY, Jambudvipa, MULTIUNIVERSE., origin of universe.